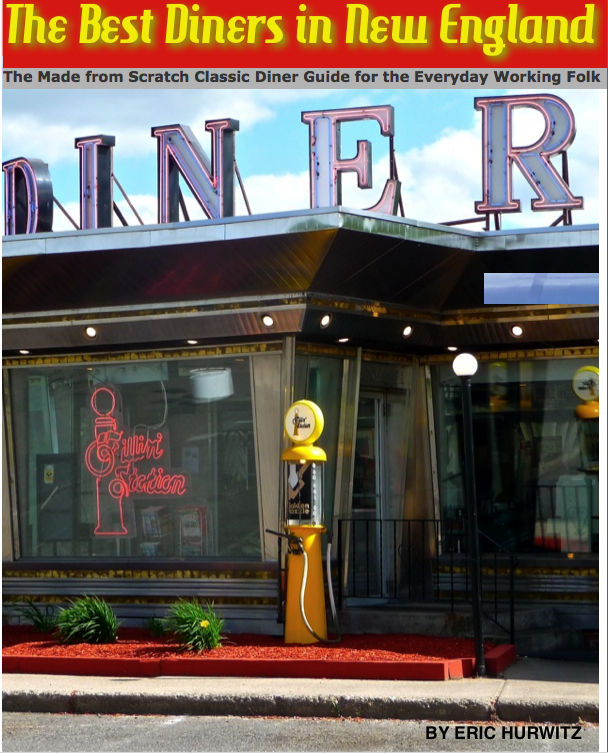 Twenty-five diners in Massachusetts have been featured in the new ebook, The Best Diners in New England. The book can be read on Kindle and any other device through the Kindle app. 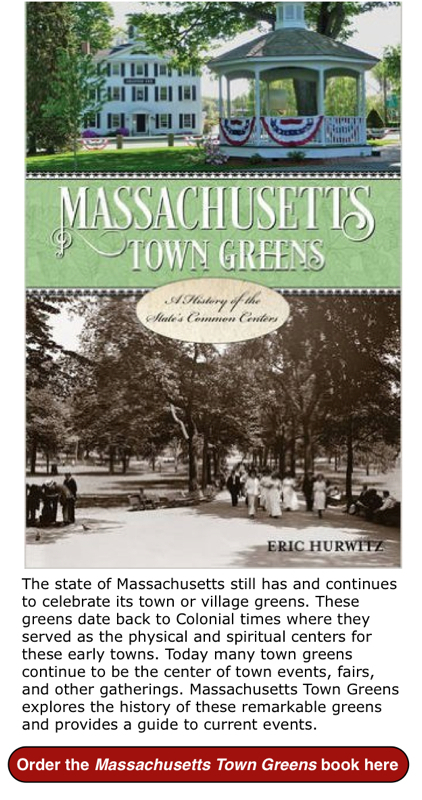 Best Diners in New England author Eric Hurwitz cited the following Massachusetts diners in his book as achieving "best of" status: Agawam Diner in Rowley; Al Mac's in Fall River; Boulevard Diner in Worcester; Carl's Oxford Diner in Oxford; Dave's Diner in Middleboro; Deluxe Town Diner in Watertown; Don's Diner in Plainville; 50s Diner in Dedham; Four Sisters Owl Diner in Lowell; Foxtown Diner in Shelburne Falls; Joe's Diner in Lee; Kelly's Diner in Somerville; Lana Thai Diner in Woburn; Little Depot Diner in Peabody; Miss Florence Diner in Florence; Miss Mendon Diner in Mendon; Moran Square Diner in Fitchburg; Morin's Diner in Attleboro; New Yorker Diner in Watertown; Off Broadway Diner in Taunton; Red Wing Diner in Walpole; Rosebud American Bar and Grill in Somerville; Whatley Diner in Whatley; and Wilson's Diner in Waltham. 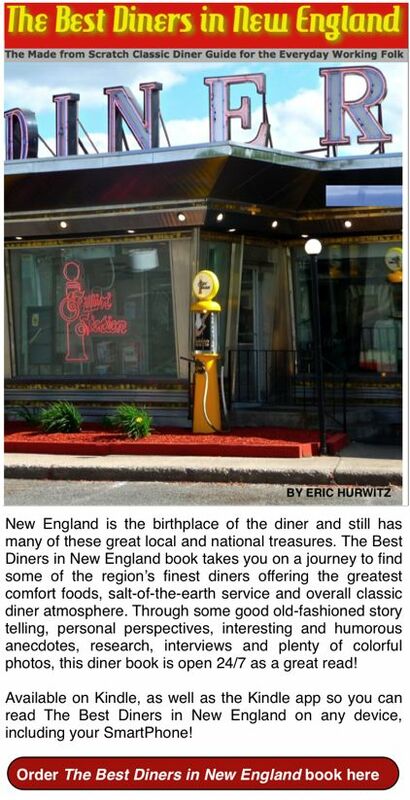 Buy The Best Diners in New England book here. The book is discounted 38% through Dec. 9, 2016!